Beta SP to DVD started in 2001. Specializing in transfers, conversions, duplications, digital media, and more. 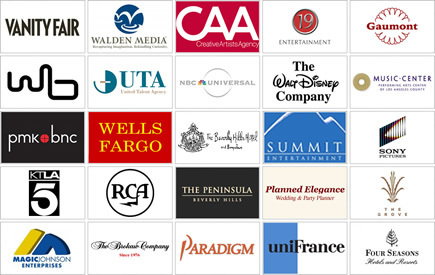 We serve a wide variety of clients in many industries, including entertainment, fashion, hospitality, marketing, public relations, legal, and medical. Our dedication to superior quality, state-of-the-art equipment, and competitive pricing has earned us an excellent reputation and the repeat business of thousands of satisfied customers. Our facility is designed and engineered to achieve only the cleanest video and audio transfers possible. We can do most jobs in just one day. Clients ship to us from all over the United States or can come into our store. We serve customers all over the country, including Los Angeles, Hollywood, Beverly Hills, Burbank, Encino, Universal Studios, Sherman Oaks, Van Nuys, Chatsworth, Brentwood, North Hollywood, Toluca Lake, Northridge, Santa Monica, San Fernando Valley, Westwood, Glendale, Simi Valley, Woodland Hills, Calabasas, Los Feliz, Pasadena, Santa Rosa, San Jose, Los Gatos, San Diego, Carlsbad, Torrey Pines, Oceanside, Chula Vista, Escondido, La Jolla, Malibu, Pacific Palisades, Pasadena and West Hollywood.